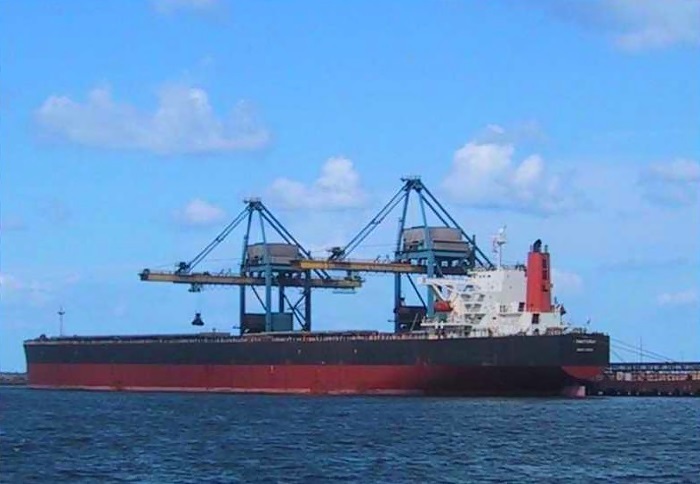 The dry bulk market is primed for a sustainable recovery, based on existing fundamentals. 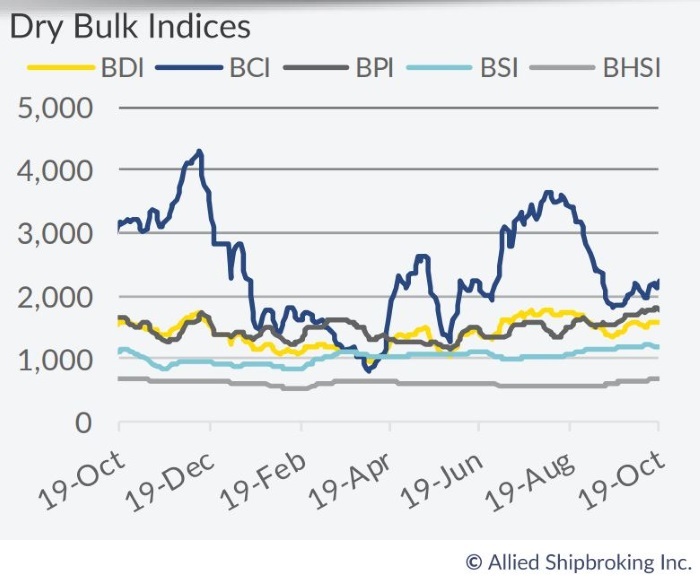 In its latest weekly report, shipbroker Allied Shipbroking said that “it has been a fairly positive year so far for the dry bulk market with the dry bulk index having performed 28% better than the equivalent time frame in 2017 and earnings across all main size segments having kept at respectable levels throughout the year. With a considerable level of uncertainty having creeped up since mid-March and the recent economic growth figures out of China further intensifying concerns as to the longer-term prospects of the market, lets put the numbers down and measure the likelihood and exposure to a potential U-turn in the prevailing market trends”. According to Allied’s Head of Research & Valuations, Mr. George Lazaridis, “this past week China announced its most recent economic growth figures, posting a 6.5 percent year-on-year growth figure for the third quarter of 2018, which was a figure considerably lower than what most had been expecting and its lowest growth figure in almost a decade. The last time we had seen similar figures was in the first quarter of 2009, right in the midst of the global financial crisis. What makes this more worrisome is that this weakness is largely being attributed to a slowdown in manufacturing, with the 3Q2018 showing the weakest factory output since February 2016”. Lazaridis says that “yet despite all this, up to date we continue to see a healthy demand for raw resources, while steel production, which is one of the main driving forces behind dry bulk demand in China continuing to show strength. Steel output in China hit a new record in the year so far, reaching levels of just under 700 million tons, an increase of around 6.1% since the start of the year and 7.5% year-on-year. At the same time and in an effort to tackle the difficulties faced by the increasing trade tensions with the U.S., Beijing seems to have eased back on winter output cuts compared to last year, something that would surely help boost production figures for the final quarter of the year. Of course, this doesn’t negate the risk of China’s steel production being close to peaking in the near term, as demand from local industries such as automobile manufacturing already showing a cut back in production figures. Yet even while taking these risks into account, it seems as though the consensus is that the dry bulk seaborne trade will post an annual growth rate of between 2.5 and 4 percent for next year, while for the next five years it is expected to average out at around 3.5 percent”. Allied’s analyst notes that “these figures surely sound relatively soft when compared to the average growth rate in dry bulk seaborne trade that we noted between 2010 and 2014, yet when compared to the more reasonable fleet growth figures now being seen things do seem to still be leaning in favor of a freight market that is able to hold its levels firm. In comparison, up until the beginning of October the fleet growth figure had reached a total of 1.63% while as things stand now it looks highly unlikely to surpass a total growth rate of 2.3% for the year as whole. At the same time even when assuming the unlikely scenario whereby we see zero ship recycling take place in 2019, given the current orderbook schedule it looks as though we can reach a maximum fleet growth of around 4.5% for the whole of 2019, while if we were to assume a similar retirement plan as that seen this year, the growth level quickly drops to below 4%. As such the favorable balance seems to still be there even if only just. There seems to be room for concern as to what the next couple of years may bring especially when given the trade tensions that have surfaced of late, however without any major excesses and when taking into account favorable winds that may well blow from the increasing regulatory requirements, there is still an overall positive overture to be heard”, Lazaridis concluded. Published On Friday,October 26th,2018 @ www.seajobhunt.com !! !